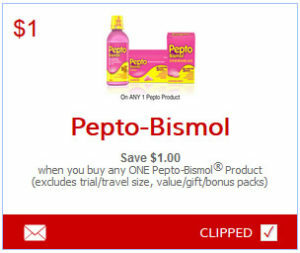 Save $1.00 when you buy any ONE Pepto-Bismol Product (excludes trial/travel size, value/gift/bonus packs). This is a printable SmartSource coupon. Limit of 2 prints per computer.